The race around Eddystone Lighthouse is one of the longest in the 2018 RORC Season’s Points Championship. 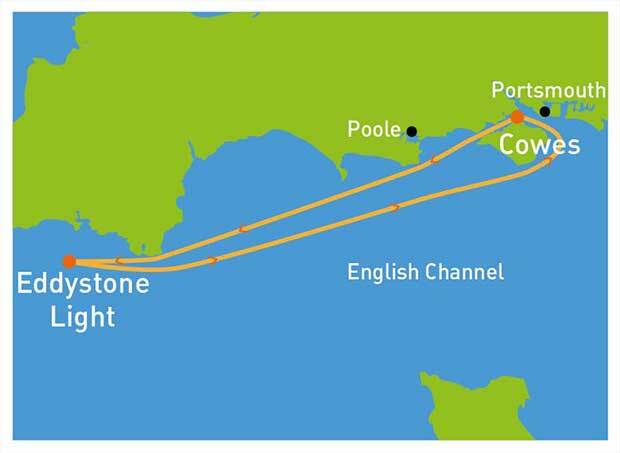 The course mirrors the first 130 miles of the Rolex Fastnet Race, as far as the famous lighthouse, 13 miles southwest of Plymouth. Fifty teams with skippers from France, Great Britain, Germany, Norway and the Netherlands will take part in the fourth race of the RORC Season’s Points Championship. In IRC Zero, Ker 46 Lady Mariposa skippered by Daniel Hardy, is the favourite for line honours and will be looking to build on their class win in the North Sea Race. Racing in IRC One, and also challenging for line honours will be Harmen Jan de Graaf’s Dutch Ker 43 Baraka Gp, making their debut for the championship, and Edward Broadway’s British Ker 40 Hooligan VII, which was the overall winner of the Myth of Malham in 2013. Mark Emerson’s British A13 Phosphorus II will be looking for a good result to take the lead for the 2018 season in IRC One. Thirteen teams are entered in IRC Two, including the championship class leader, the Army Sailing Association’s X-41 British Soldier, skippered by Andrew Britton. 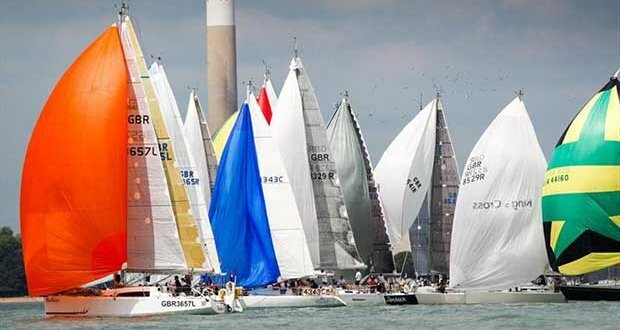 Thomas Kneen’s British JPK 11.80 Sunrise will be racing, after an impressive debut in the Cervantes Trophy Race, and Ross Applebey’s British Oyster 48 Scarlet Oyster returns after a major winter refit. In IRC Three, Rob Craigie’s British Sun Fast 3600 Bellino, racing Two-Handed with Deb Fish, will be defending their hard-fought class win last year. Bellino will be facing hot competition from three British teams, Richard Palmer’s JPK 10.10 Jangada, which leads the overall standing in the RORC Season’s Points championship, as well as two Sun Fast 3600s; Ian Hoddle’s Game On, and Nick Martin’s Diablo. In IRC Four, Noel Racine’s French JPK 10.10 Foggy Dew has been class runner up for the last two editions of the race and won the race overall in 2011. The RORC Myth of Malham Race is named after a 37’6? mahogany cutter-rigged sloop, built by Hugh McLean & Sons Ltd, Gourock, Scotland in 1947. Myth of Malham was designed by Laurent-Giles to John Illingworth’s highly radical specifications, which included a masthead rig and short overhangs. Many consider Illingworth to be the founder of post-war yacht racing, he became the RORC Commodore in 1948. Myth of Malham won the Fastnet Race in 1947 and 1949, and in 1957 was part of the winning team for the first Admiral’s Cup. Myth of Malham went on to compete in five Admiral’s Cups, a record that has been achieved by no other yacht.